This miche wasn’t supposed to be. Always eager for the taste of whole wheat, I had decided to make a “pan bigio” from Carol Field’s The Italian Baker, a book I have owned for quite a while and certainly not used enough as it is full of attractive recipes which I have yet to try. Most of them are yeast-based but they can and should be converted to natural starter. Maybe I’ll give it a try this summer. Anyway I had dutifully made the biga (starter dough made from small amounts of flour, water and yeast allowed to ferment for at least 24 hours) two days before and when it had become deliciously and deliriously effervescent, I started to prepare the other ingredients for scaling. But (why so many buts in life? ), just as biga requires commercial yeast (fresh, dry active or instant) , so does the final dough for Pan bigio and, as I was reaching for it, my eyes fell on my liquid starter, forlornly bubbling away in its glass jar. As I hadn’t baked with it the day before, I actually needed to use some of it (or throw some out) to make room in the jar for its daily meal. So I made up my mind on the spot, decided to keep the pan bigio recipe for a day when I wouldn’t have enough starter (as if that was likely to happen anytime soon) and to strike for a new (to me) frontier in bread-baking: use two preferments in the same dough (I wasn’t about to throw away the biga, as you can imagine). I still wanted an at least partially whole-wheat bread but now that I was no longer bound by a recipe, I could give free rein to my imagination as to the other ingredients. So I gazed out of the window: looming dark clouds, misty lawn, dripping trees. It felt like fall, or maybe early spring (it was cold in the house with the heat off), and I tried to think of a flavor that would warm us up. 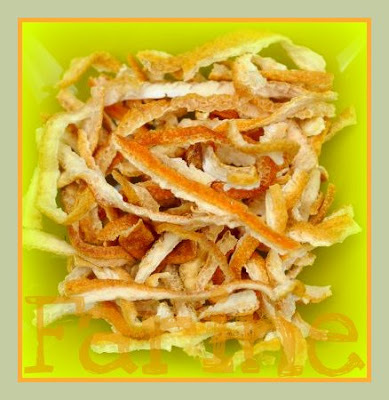 I closed my eyes and must have been visited by the ghost of Christmas past because, all of a sudden, I had a craving for dried plums and oranges, very little of both, just enough to give the bread a different fragrance and make it more festive. I briefly considered alternatives (mango and Brazil nuts?) but in the end, I stuck with the plum-orange flavor, which is a traditional one in French cooking and baking (although not in bread, at least not in the old days) and very pleasant in a quiet sort of way. 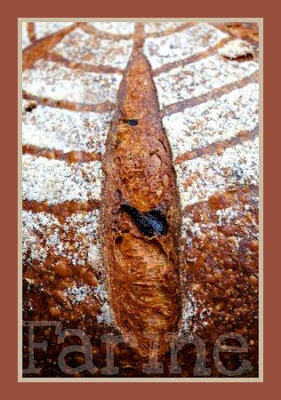 As always, the loaf has been submitted to Susan, from Wild Yeast, for her weekly Yeastpotting feature. I can’t thank Susan enough for her beautiful, instructive and fun blog and for the kindness with which she displays other bakers’ work. If you haven’t visited Wild Yeast yet, you are in for a BIG treat! Enjoy! Beautiful bread, I agree with Steve (but who would’nt?!). If only you could save a little piece I could taste in June, when you’ll be in France! PS : are dried plums and prunes and pruneaux the same? Thank you, Steve and Flo! 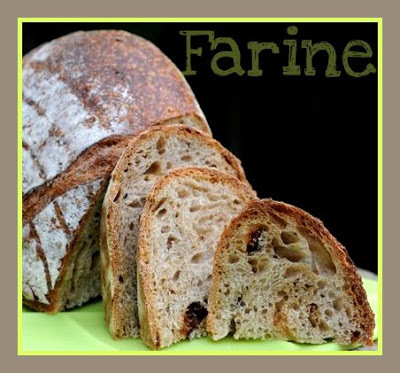 How I wish I could set up a tasting booth on Farine! MC, I am never disappointed when I visit your blog! I get such inspiration here. 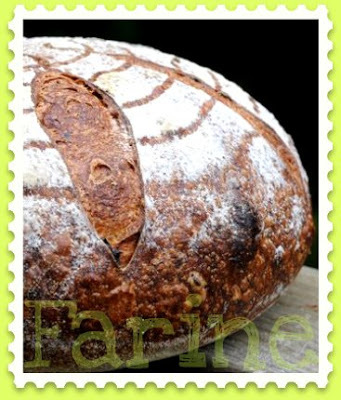 Thanks so much for the kind words also, and thanks for sending this lovely bread to YeastSpotting. Wow! That is a stunning loaf of bread. Thanks for posting it. Merci. Je voudrais faire quelque chose comme ca! 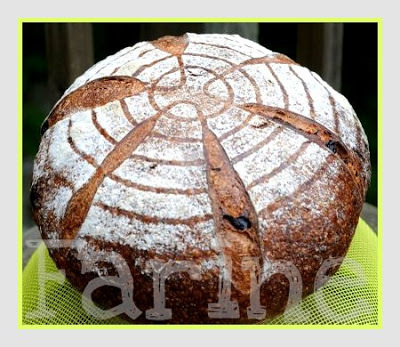 Beautiful loaf, and it sounds delicious with the orange peel and dried plums! This is such a lovely looking bread. There is so much to be learned here. have a good weekend. I love your story of how you came to make this bread – and it is a real beauty. 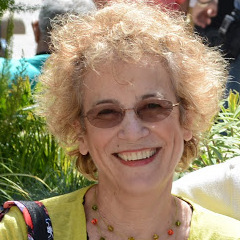 J’irai voir ton autre blog maintenant! Bis! So very pretty, and I’m sure it tastes as wonderful as it looks. I am curious to know what you used to do the stenciling? Susan, where would we all be without YeastSpotting? Thank you so much for showcasing our work each week alongside with your beautiful loaves! Shelly, merci de venir me voir et sur Bombance et sur Farine ! SulaBlue, hello and thanks for your kind words. For this loaf, I used a round cake cooling rack. 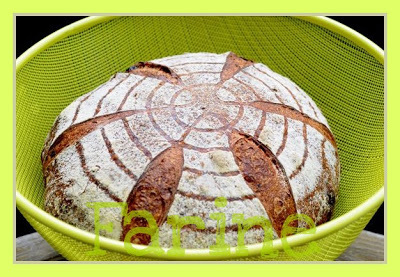 I had to look around a lot to find one with that particular pattern (I had seen breads stenciled with it before and thought them lovely). I am sure other cooling racks with different patterns would be great too.